The Promark F5BFG Forward 5B FireGrain is Promark's most durable Forward 5B ever. 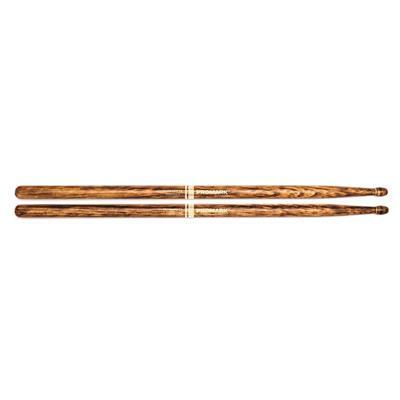 Promark FireGrain sticks allow drummers to hit harder and play longer, naturally. No excess vibration, no space age gimmicks, just natural hickory, hardened by flame. The Forward 5B features a short, 2 1/4" taper for power and speed.